Approximately one in five adults is affected by mucoceles. Mucoceles can affect patients of all ages. It is also common for children and young adults to develop mucoceles. The surface of the lower lip is the most common area to find a mucocele. A mucocele may also be found on the inner cheek, on the floor of the mouth, and on the tongue. Mucoceles typically do not form on the surface of the upper lip. 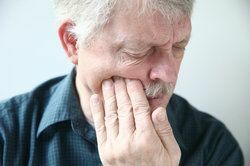 A mucocele is usually harmless, but may cause a patient discomfort, pain, and difficulty speaking or eating. In such cases oral surgery to remove the mucocele may be recommended. A mucocele is a small, cyst-like, fluid-filled area of swelling within the mouth. It is typically caused by a blockage or trauma to the salivary gland. The blockage or trauma within the salivary gland causes saliva to pool, which may lead to the formation of a mucocele. Biting the lip, cheek, or other areas of the mouth can cause a mucocele to form. Mucoceles may also form from taking certain medications and using certain toothpastes. What Are the Symptoms of Mucoceles? The first sign of a mucocele is swelling in the lower lip, inner cheek, floor of the mouth, or roof of the mouth. Typically, a mucocele is a single bump. A mucocele may have the color of a patient’s normal skin tone, or may have a slightly bluish hue. Mucoceles are typically soft and small in size. Discomfort or pain may be a symptom of a mucocele. Some mucoceles cause excruciating pain, while other mucoceles are painless. Swelling or lumps within the mouth that do not go away after a week should be examined by a qualified medical professional. Mucoceles are usually harmless. While mucoceles are not typically dangerous, they can cause scar tissue to form when left untreated. Mucoceles, especially deep mucoceles, can be painful. It is common for a patient with a mucocele on the lower lip to bite the mucocele over and over again. The location and the depth of the mucoceles can cause a patient severe pain, interfere with his or her ability to speak clearly, and make eating difficult. Mucoceles are diagnosed through comprehensive dental examinations. During this examination, the dentist will look at and feel the lump. X-rays may also be taken. The dentist will carefully examine the lump and determine whether it is a mucocele or other condition. At their practice in Cocoa Beach, oral surgeons Gerald Bird and Jay Johnson tailor mucoceles treatment to the individual patient. Some mucoceles do not require surgical treatment. Small mucoceles may require only time to heal. Larger, more painful mucoceles may be removed by a scalpel or laser. Once the mucocele has been removed, the tissue is sent to a laboratory for testing. Corticosteroid injections may be used to help reduce swelling before removal. In some cases, the corticosteroid injections substantially reduce swelling to the point that surgery is no longer required. An enlarged mucocele can interfere with a patient’s ability to chew and speak without pain. If you are experiencing swelling, you may have a mucocele. To schedule an examination or to learn more about mucoceles, please contact Dr. Gerald Bird and Dr. Jay Johnson today.